QUETTA: Security forces on Wednesday claimed to have killed five suspected militants during exchange of fire with security forces in Balochistan. 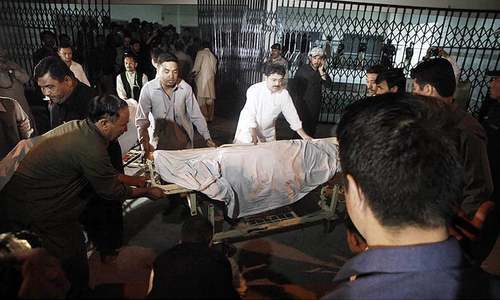 The suspects were killed in two separate incidents in Quetta and Turbat area of Balochistan. Three alleged militants were killed during an exchange of fire with Frontier Corps in Turabt while five suspects were also taken into custody. "Five suspected militants were apprehended during exchange of fire in Naag area of Turbat," said FC Spokesperson Khan Wasey. "Two camps of miscreants were also abolished by security forces and huge quantity of arms and ammunition were recovered from the abolished capms," Wasey added. The deceased suspects were reportedly involved in conducting attacks on security forces and state installations in Balochistan. Meanwhile, armed assailants reportedly opened fire at police mobile in Eastern Bypass area of Quetta where two attackers were killed in return fire by police. One policeman also sustained injuries in the exchange of fire with militants. 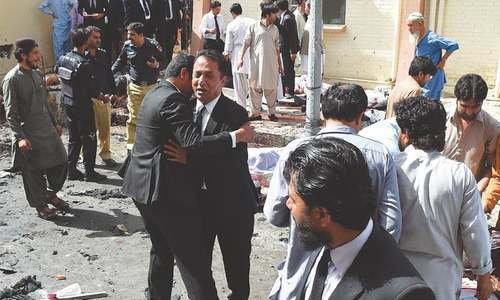 Security has been tightened in Quetta in the aftermath of the killing of four Hazara Shia women in Qambrani road area. Weldone Pak armed forces. We're proud of you. May God keep you safe.